The comments section is replete with congratulatory messages for the newbie father. “Awwww…congrats to you and your budding family, Congrats!!!! That’s the best thing best wishes to baby boy, Congratulations on the new addition to your family,” were some of the comments on the picture. 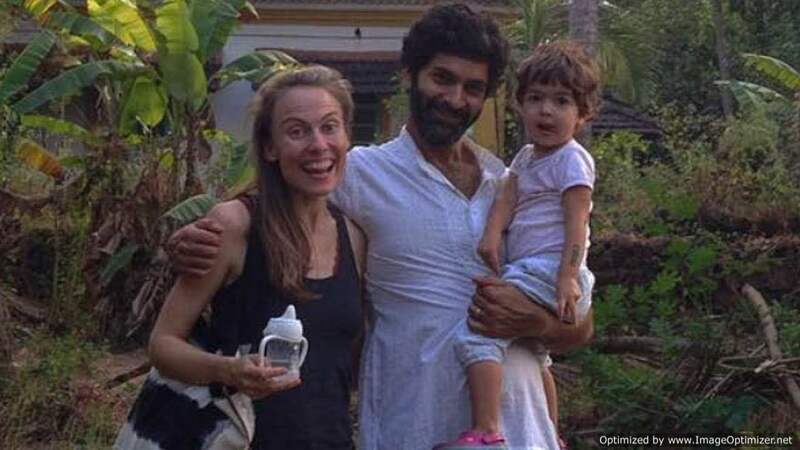 Purab Kohli, who made his debut with Zee TV’s ‘Hip Hip Hurray’ show, got hitched to longtime girlfriend Lucy Payton in a private ceremony in Goa on February 15 last year. Purab’s POW co-star shared the news of his marriage via social media. Have a look. The couple also has a daughter named Inaya who was born 2 years prior to their marriage. The actor frequently shares adorable pictures of his baby girl. When asked about how his parents reacted to it, he shared “No! My parents have always been supportive of my decisions. I understand that the decisions I have made with Lucy have shaken the foundations [of the] institution of marriage, but my family was evolved enough to accept us. We extend out heartiest congratulations to the newbie father. We are eagerly looking forward to more pictures of the baby. Next story History of Valentine’s Day!!!!!!! !